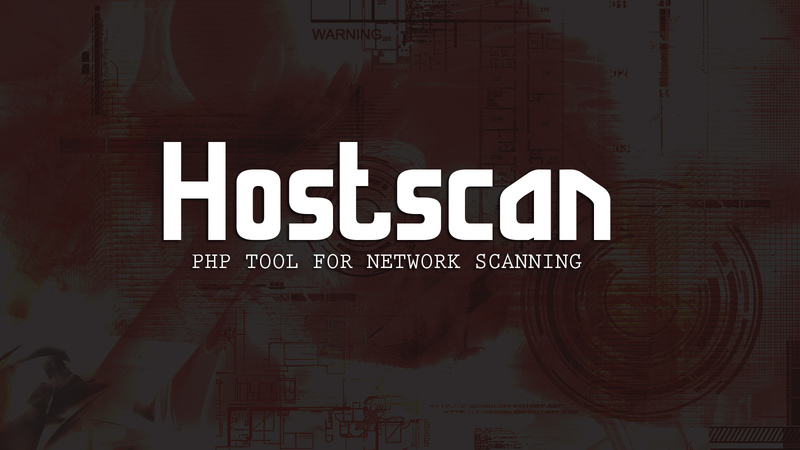 Hostscan is a PHP tool which allows you to a scan specific range of hosts, mostly for information gathering and testing for weak passwords. Since it is written in PHP, it works quite slowly compared to a client-side software. You need to provide a range of IP's (e.g. 127.0.0.1 - 127.0.0.10); the program will perform operations on each address separately, basing on selected options, then it will print out the response. By default, the program will only check open ports, print HTTP response headers, test for HTTP methods and check FTP for anonymous login. If 'SSH/IMAP/DB's' are checked, the program will try to brute-force SSH, IMAP, MySQL, PostgreSQL & MsSQL using an array of passwords and users defined on the beginning of the script. Notice, that it will try to login as user with grand permissions (e.g. root, postgres), although you're able to edit it. If 'FTP User' is set, the program will also try to brute-force FTP with a specific user using mentioned passwords array. 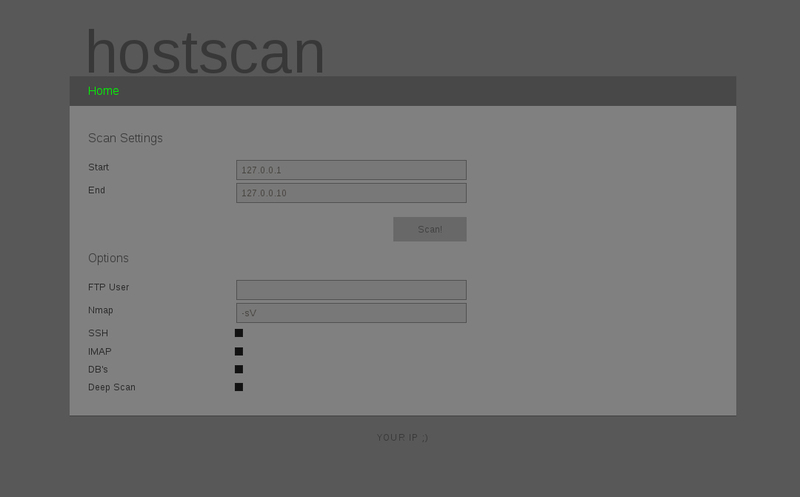 By default, it's not, and it will only test for anonymous login. If 'Deep Scan' is set, the program will perform all aforementioned operations. Further, it will use nmap with specific parameters you're able to edit, also, the traceroute scan will be performed and displayed - just like nmap. Deep Scan also gathers some useful information about a website (if it's running), such as interesting files/folders and www title. ?url=website.com for quick IP address of a specific website.